one happy little crafter: The one that got a little "distressing"!!!! 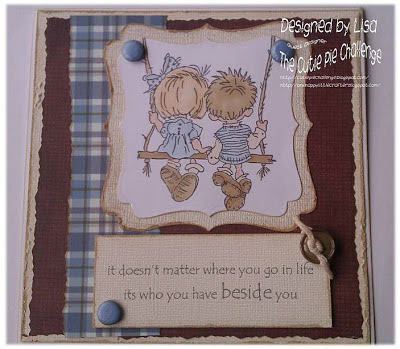 own sentiment printed onto core'dinations whitewash card, which I also used elsewhere on the card. papers, card candi, button and string from stash. If you would like to join in with us this time, or would like to check out the other super DT cards, click on our badge above. This is just DARLING, Lisa. I just the distressing, and the sweet image. Just adorable!! Thanks so much for sharing this with us at Word Art Wednesday. I feel so blessed when you share your beautiful art with us, and hope you're having an awesome week! 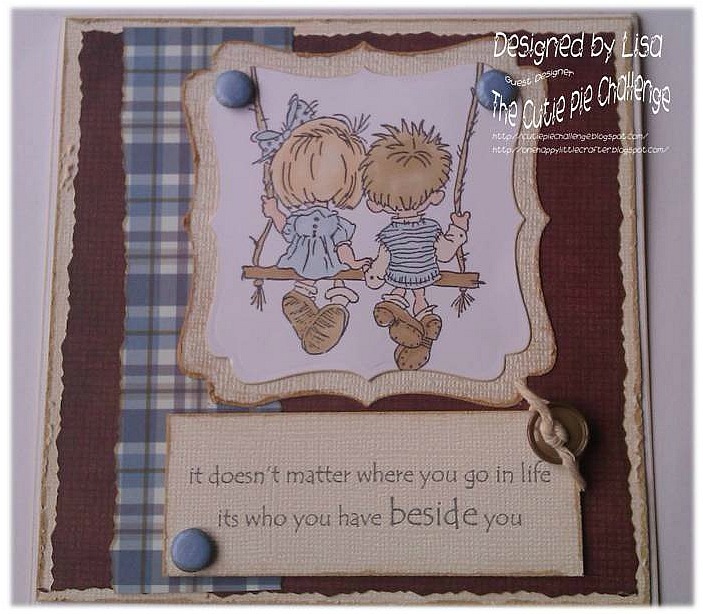 Lovely card Lisa, the distressed look is fantastic and you've embraced it so well with this one! 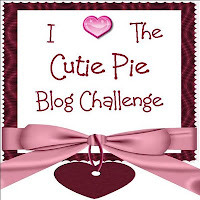 BTW I've just started my own blog, if you get a chance to take a peek its at www.handmadebyhamill.blogspot.com.